Your employee engagement hub is one of the primary tools you’ll use to share company information and to communicate with your employees. And if you don’t keep it updated regularly, employees will quickly learn that you’ve got nothing new to say and they’ll stop visiting. It’s a scenario we hate to see happen, and part of my role is to help our clients avoid it with continual engagement. Remember, employee engagement is not a set-it-and-forget-it activity. You need to publish new content regularly in order to keep engagement top-of-mind and share important company and HR initiatives. Our Internal Communications Manager Catrin Lewis answered that very question in a recent CatComms TV video posted on the Reward Gateway blog. It’s not as difficult as you may think. Cat’s top secret for coming up with new content ideas is … (drumroll, please) … to involve your workforce. Your core values define who you are and set the tone for how employees engage with the organization. By including feedback in your values, you’ll empower employees to share their thoughts and concerns with you. 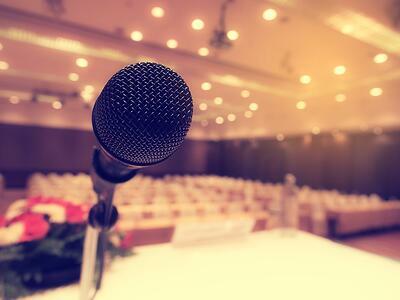 At Reward Gateway, one of our company values is Speak Up. We encourage our employees to speak their minds and they respond with smart questions, insightful viewpoints and welcome feedback – which all leads to great content ideas for our hub. You can monitor these questions to spot trends and look for information that’s missing from your hub. Another great way to get feedback and tap your workforce for content ideas is on your hub itself. Add an online form for people to submit feedback and ask questions. This is easy to do using Google Forms, or through an employee survey tool. At Reward Gateway, we keep one constantly on our employee communications platform we call boom!. Again, look for trends. Any topic that two or more people are asking about is one you should create content addressing and publish on your hub. Before long, you will have filled it with relevant content that your employees are engaged with. Cat calls Glassdoor a “gold mine” for content ideas. At Glassdoor, former and current employees write reviews of your company that are anonymous, so much of the feedback is candid and may provide input you can’t get anywhere else. 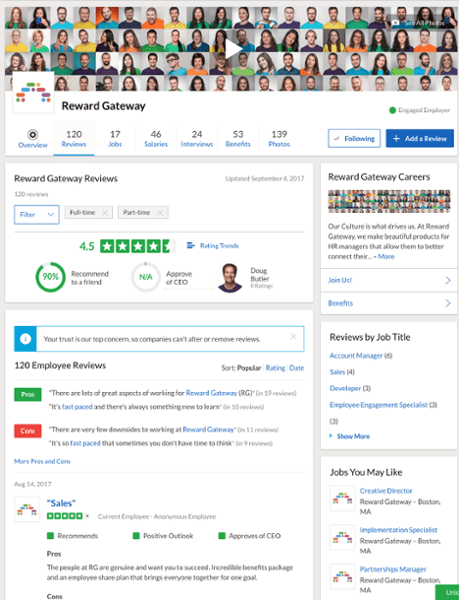 You should check Glassdoor regularly for reviews of your organization, pick out trends and use them to generate content for your employee engagement hub. 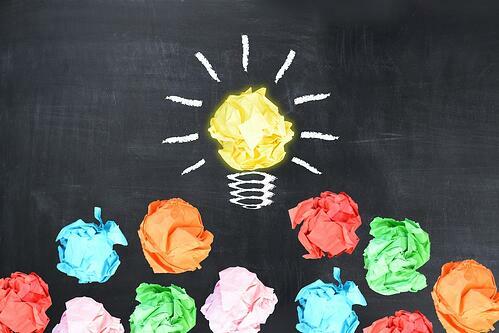 Need more ideas for innovating your employee engagement hub? We’re here to help.